TRENTON, N.J. -- New Jersey Gov. Chris Christie says President Donald Trump made him order meatloaf when they dined together at the White House this week. Christie and his wife, Mary Pat, joined Trump at the White House on Tuesday. The Republican governor said while guest hosting a New York sports talk radio show Thursday that Trump pointed out the menu and told people to get whatever they want. Then he said he and Christie were going to have the meatloaf. "This is what it's like to be with Trump," Christie said. "He says, 'There's the menu, you guys order whatever you want.' And then he says, 'Chris, you and I are going to have the meatloaf.'" 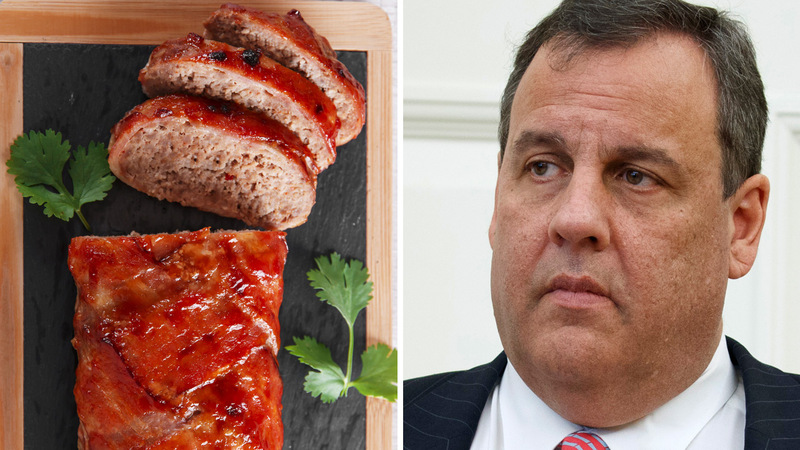 Trump said "I'm telling you, the meatloaf is fabulous," according to Christie. Trump and Christie discussed the nation's opioid epidemic during the lunch. Christie on Wednesday signed a series of bills he requested to address the crisis, including a five-day limit on initial prescriptions for opioids and mandating state-regulated insurance plans cover treatment. He said he didn't talk with Trump about any jobs. GOP presidential candidate Donald Trump, left, talks with New Jersey Gov. Chris Christie, right, at a rally at Lenoir-Rhyne University in Hickory, N.C., Monday, March 14, 2016.